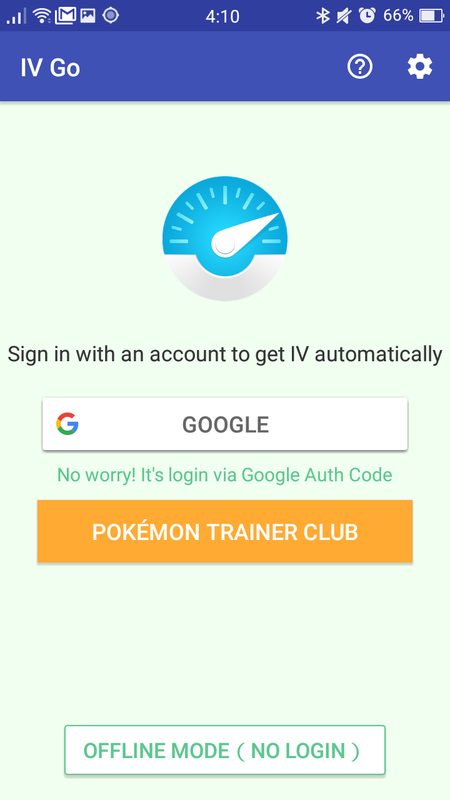 If you have been playing Pokémon Go for a while, you probably heard of the term Pokemon IVs. This term is used a lot especially with the recent Pokémon Go app update that introduces Pokemon appraisals. With the new appraisal feature, you can finally get a sense of the quality of your Pokémon. But what do all these stats and appraisal wording mean? 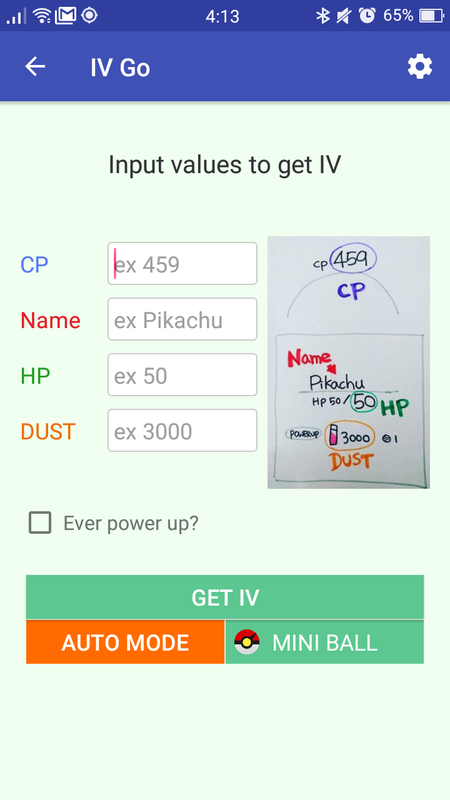 I put together a basic guide that would hopefully help you understand how to detect the best Pokémon and decide who to invest your Stardust and candy in. “ IV ” stands for Individual values. Those Individual values of a Pokémon exist in the original game but are hidden in Pokemon Go. They were discovered through data-mining of the Pokémon Go code. 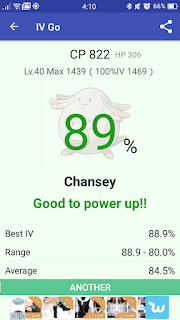 “ IVs “, unlike “ CP “ (Combat Points), “ HP “ (Hit points) and moves, stay constant when evolving or powering up a Pokemon. 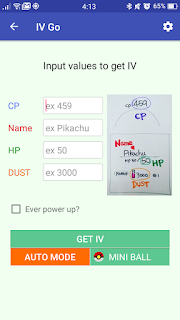 The “ IVs “ will determine how powerful your Pokemon will become at each upgrade stage. For that reason, “ IVs “ should be considered when deciding which pokemon to Evolve and power up. The base individual stats are: Attack, Defense, and Stamina. Attack - Together with the kind of moves the Pokémon has, is important when attacking gyms. Defense and Stamina - Important when it comes to defending gyms. There is a hidden Level for those Base Stats. Each Pokémon kind has “species”-specific base stats but they also vary from Pokémon to Pokémon of the same kind. IVs have a value out of 15 for each stat, so a spread of 15/15/15 across Attack, Defense, and Stamina would be considered perfect IV. A perfect 15/15/15 set of IVs will show as 100% in the IV calculator. Pokémon Level refers to a Pokemon level of training. Each Power-Up adds half a level. The Level always caps out at a maximum of 1.5 Levels above your own Trainer Level. That maximum increases when you level up. So what would make the best Pokemon? 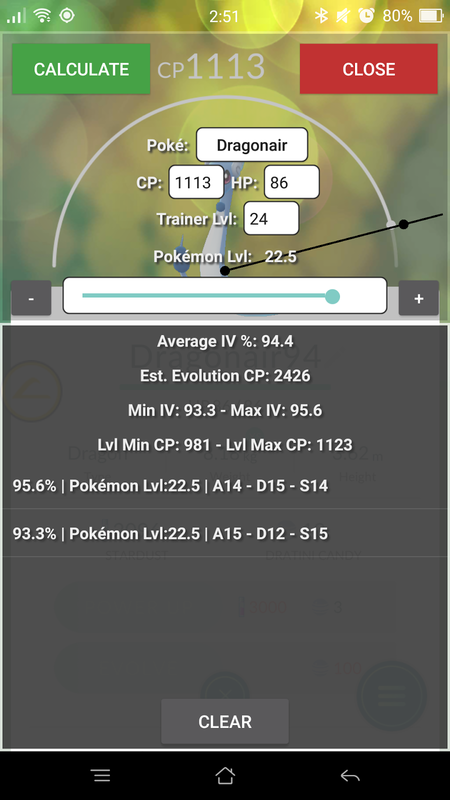 Pokémon with the highest possible “ CP “ when it is at maximum Level, with perfect IV. 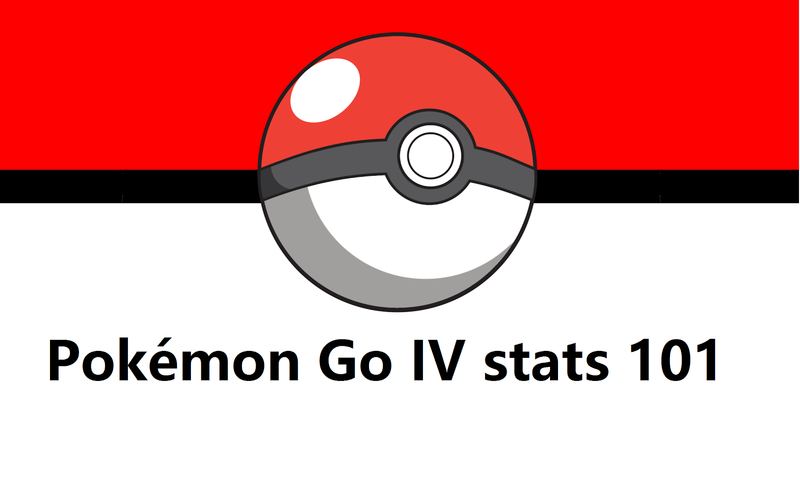 Now that you understand better what IV stats are, you probably wonder how to access this valued information. Until the Pokémon Go update to version 0.35.0 (Android) and 1.5.0 (iOS) , the only way to access those stats was by using third party apps. These apps are not approved by Niantic, are against the Terms Of Service and note that they may get you banned. The Android app PokeGo Master is a relatively safer app as it does not require a log-in with a Google or Pokémon account. 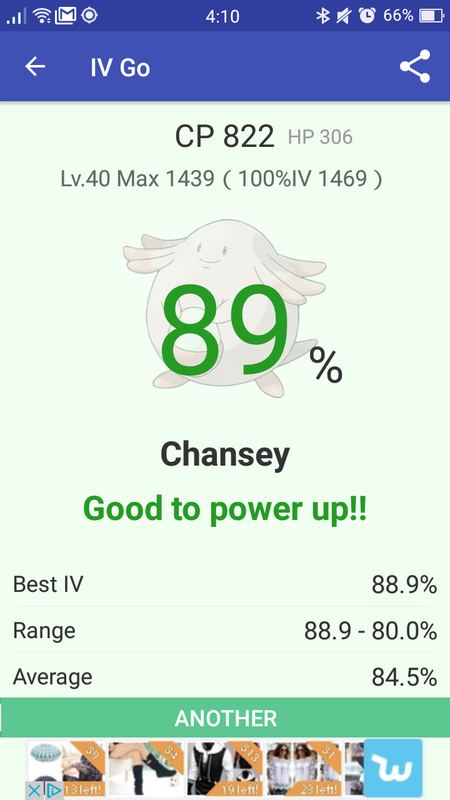 This app will help calculate the exact IV stats and will give you an overall average percentage of the Pokémon’s strength. 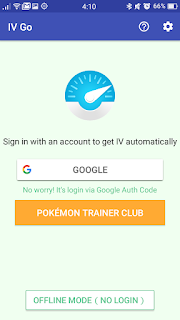 Another good app is IV Go, it has an offline mode which does not require a log-in, just in case you are worried about using third part apps. I find it very accurate. Niantic added an appraisal feature in version 0.35.0. The Appraise feature allows you to ask your team leader for advice regarding the strength of your Pokémon. All you need to do it choose a Pokémon and click on the menu button. The option will appear above the Transfer option. Once you click Appraise, your team leader—either Blanche, Candela or Spark will give you a short summary of the quality of your Pokemon. Overall, your Pokémon is a wonder! What a breathtaking Pokémon! Overall, your Pokémon simply amazes me. It can accomplish anything! Overall, your Pokémon looks like it can really battle with the best of them! Overall, your Pokémon has certainly caught my attention. Overall, your Pokémon is a strong Pokémon. You should be proud! Overall, your Pokémon is really strong! Overall, your Pokémon is above average. Overall, your Pokémon is pretty decent! Overall, your Pokémon may not be great in battle, but I still like it! Overall, your Pokémon has room for improvement as far as battling goes. Now that you have all this info and tools to analyze the quality of your Pokémon, you can make better decisions regarding who to evolve and who to Power up. Good luck and catch ‘em all!